From YouTube star and Facebook Video sensation Laura Clery comes a collection of comedic essays in the vein of We Are Never Meeting in Real Life by Samantha Irby and You’ll Grow Out of It by Jessi Klein. Laura Clery makes a living by sharing inappropriate comedy sketches with millions of strangers on the Internet. She writes songs about her anatomy, talks trash about her one-eyed rescue pug, and sexually harasses her husband, Stephen. And it pays the bills! Now, in her first-ever book, Laura recounts how she went from being a dangerously impulsive, broke, unemployable, suicidal, cocaine-addicted narcissist, crippled by fear and hopping from one toxic romance to the next…to a more-happy-than-not, somewhat rational, meditating, vegan yogi with good credit, a great marriage, a fantastic career, and four unfortunate-looking rescue animals. Still, above all, Laura remains an amazingly talented, adorable, and vulnerable, self-described…Idiot. 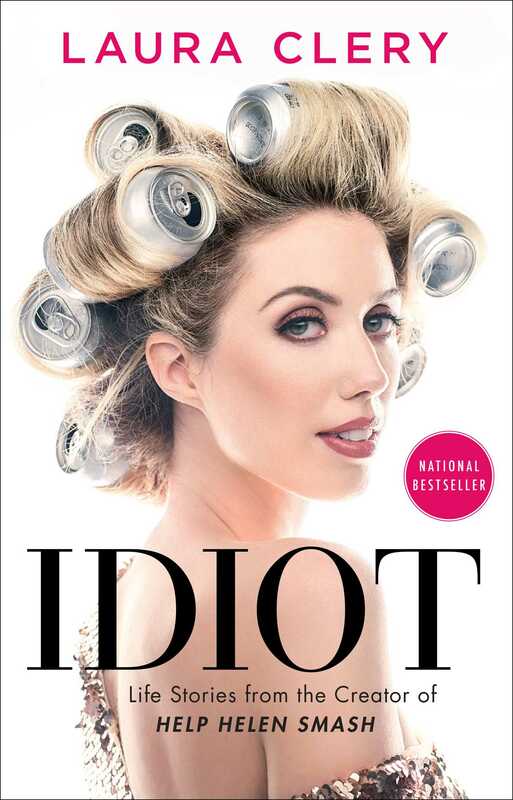 With her signature brand of offbeat, no-holds-barred humor, Idiot introduces you to a wildly original—and undeniably relatable—new voice. Laura Clery is an actress and comedian best known for posting daily comedy sketches to Facebook and YouTube, where she has a combined 4 million followers and almost 1 billion views. She lives in Los Angeles with her husband and motley crew of rescue animals.